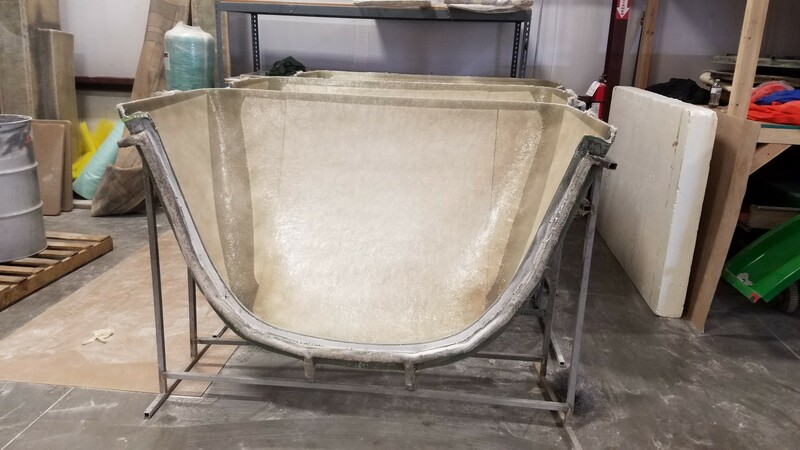 When applied with the correct technique and care, fiberglass gel coatings can make the difference in quality and longevity for your fiberglass molded products. 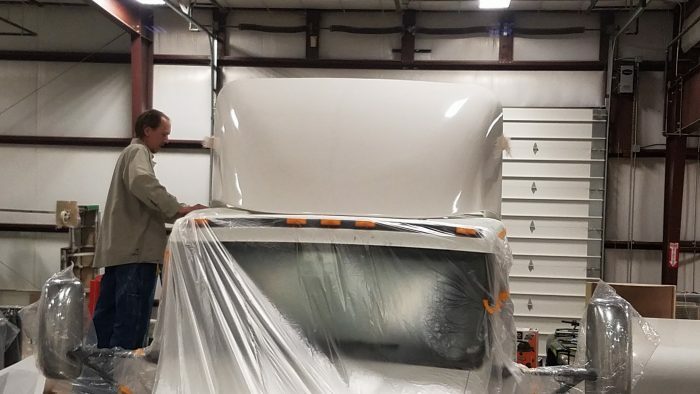 EJ Painting & Fiberglass Inc. provides coating services, including gel coating, so you have complete peace of mind in the finished fiberglass items you’re receiving from us. And, with decades of tenured experience in the industry, you can rest assured we’re delivering the absolute best results. Do your parts need a nice exterior finish? EJ Painting & Fiberglass Inc can handle this. EJ Painting & Fiberglass Inc offers finished, fiberglass gel coatings in Denver, CO. This is done by applying approximately 15 mLs of gelcoat into the mold. Once the gelcoat is applied, resin glass laminate is layered onto the gelcoat. When the part is removed from the mold, the exterior of the part has a nice, smooth colored surface that creates a barrier from the FRP laminate. More often than not, the gelcoat comes in varying colors with ultra-violet protection. The gelcoated surface will match the surface quality of the mold. Once your fiberglass has been cast and finished, the proper coating is the final step before it’s ready for deployment. The right gel coating goes a long way. And, once that coating is in place, it’s essential to make sure it’s properly appointed. Count on our team to gel coat and thoroughly prep the surface of your fiberglass molded products! We make sure every square inch of the final cast product is coated and that every coating gets a diligent application and oversight. If you’ve spent the money for tooling, mold design and fiberglass fabrication, it’s important to make sure you’re also investing in the right protection. Call on EJ Painting & Fiberglass Inc. for gel and other fiberglass gel coatings and make sure you’re getting the perfect finishing touch from qualified experts. Give us a call today at 303-288-8373 to discuss the specifics!